QPR v Chelsea: Barton claims it's a bigger derby for Rangers - Is he right? 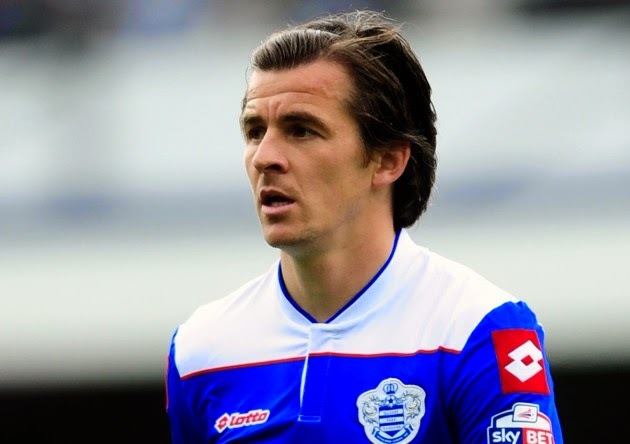 Joey Barton has given an interview ahead of the West London derby tomorrow by claiming that it's a bigger day for them than it is for Chelsea. I just wondered what the Chelsea fans thought of his comments? "It is probably more of a derby for us than them, they have bigger fish to fry. They have the likes of Manchester United and Arsenal on their minds because that's the kind of company they keep. But for us it's huge because of the predicament we're in. They are champions elect, but we saw what can happen with Crystal Palace the other night against Manchester City. Chelsea have a healthy lead at the top of the table. If they fancy giving us three points we'll gladly take them. Everyone expects us to get turned over so it's quite nice, the pressure is off us. Chelsea are a fantastic side, but they should be when you're spending 15 gazillion pounds in the transfer window. They will win the League this year, I can't see anyone catching them now with the Mourinho factor. Their season will just about be considered a success because they will win the League but their biggest disappointment is they got eliminated from the Champions League so easily." Not that any of us really care what Barton has to say because let's face it, somehow he thinks people value his opinion, but I tend to agree with him in relation to the positions of the two clubs coming into the game. However, in saying that, Jose Mourinho has made it clear with confirmation that Cesc Fabregas and Nemanja Matic will both start, that he intends to field his strongest eleven as he desperately wants the win and three points. Chelsea fans will remember last season and in games such as these that we stumbled and dropped points and literally threw the title away. You can bet your life that Jose Mourinho and his players will be more focused than ever to ensure that doesn't happen tomorrow. QPR v Chelsea is always a tasty game. It's a local derby, it's David against Goliath and you never can tell how these games will go. I agree with Barton that Chelsea have bigger fish to fry and that's no disrespect to QPR or their fans. You do have the impression that this is the big one for our West London rivals and it's a result that if they win, they will talk about for a long time and hold bragging rights in pubs and clubs around the area. To sum up. The game is probably bigger for Rangers and their Supporters because of what it means t them. For Chelsea, it's another game, another chance to take three points to take us a step closer to the title.